How factory-farmed animals are treated by the food industry is truly shocking. Female pigs spend their entire pregnancies in gestation crates so small they cannot even turn around — a practice banned in many other countries. Chickens are genetically manipulated to grow so big, their legs often collapse under their own weight. These intelligent birds are crammed by the thousands into dirty, dimly-lit sheds, and are prone to leg injuries, respiratory problems, and heart attacks. Male calves, unwanted by the dairy industry, are ripped away from their mothers while still just babies. They are confined in tiny crates that drastically restrict their movement. These standard factory farm practices are harmful for animals, our health, and the environment. Farmed animals need your help! Join us to win the battle against factory farming by demanding better from food companies. 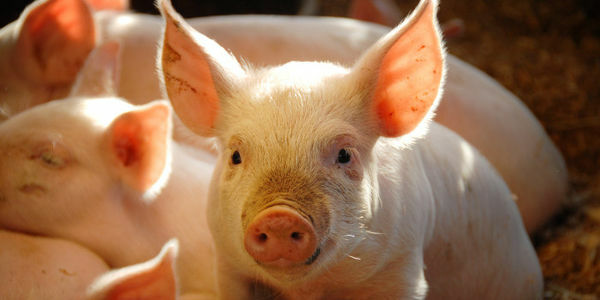 Sign this petition to demand that food companies show compassion!